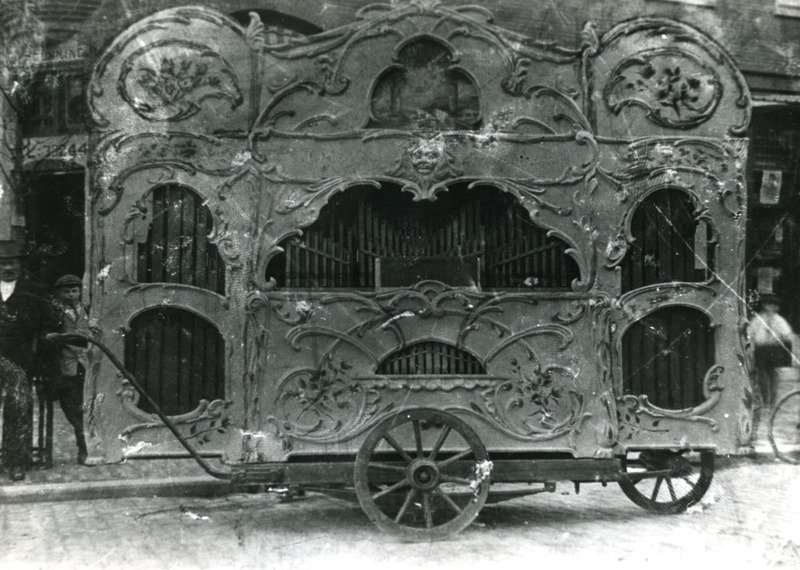 This 72 key organ was built in Antwerp, Belgium, by Koenigsberg, most likely for use in a small dance hall. (Click images to enlarge). It was later sold to a firm in the Netherlands which rented it out for use on the streets of the city of Rotterdam. It was out of use during the war years, and in about 1947 was sold to G. Perlee of Amsterdam in very poor condition. 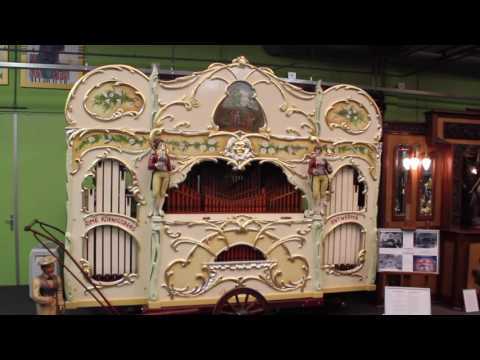 No longer in playing order, Mr. Perlee stored the organ in his workshop for more than 30 years. 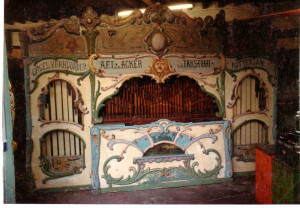 Then, in the late 1970s, he decided to make it playable once again, after which it was bought by Brian Blockley, an organ enthusiast in the United Kingdom. Whilst the organ itself had been worked on, the façade had not received any attention at all, so once in the UK it was extensively repaired and re-decorated. The replacement upper carved panels were set aside and new ones, based on the originals, were made using old photographs as reference. From the early 1980s onward the organ could be regularly admired, playing at many shows and events in the north of England. The organ was eventually purchased by a Dutch collector and in 2011, before it returned to the Netherlands, we carried out a major overhaul including re-leathering the bellows and wind chests. The façade was also completely re-decorated and gilded. 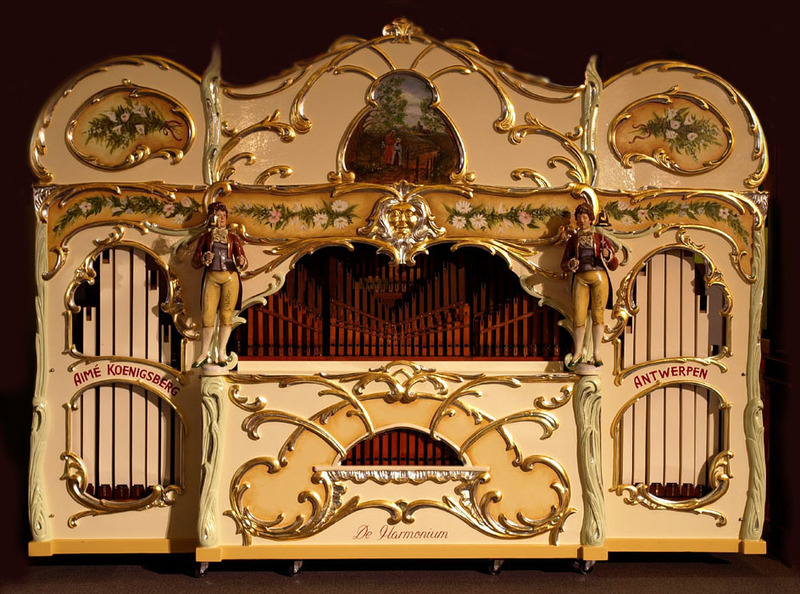 Streetorgan " De Harmonium "